Promote your brand far and wide and make a lasting impression on your customers using the Zaga Snack Wide Promo Pack Bag with Animal Crackers. 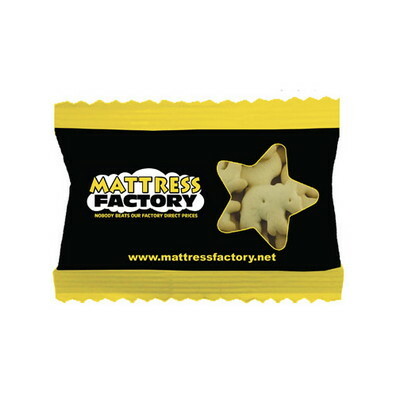 Imprint your company’s logo on the snack pack to take your brand to the next level in the marketing arena. 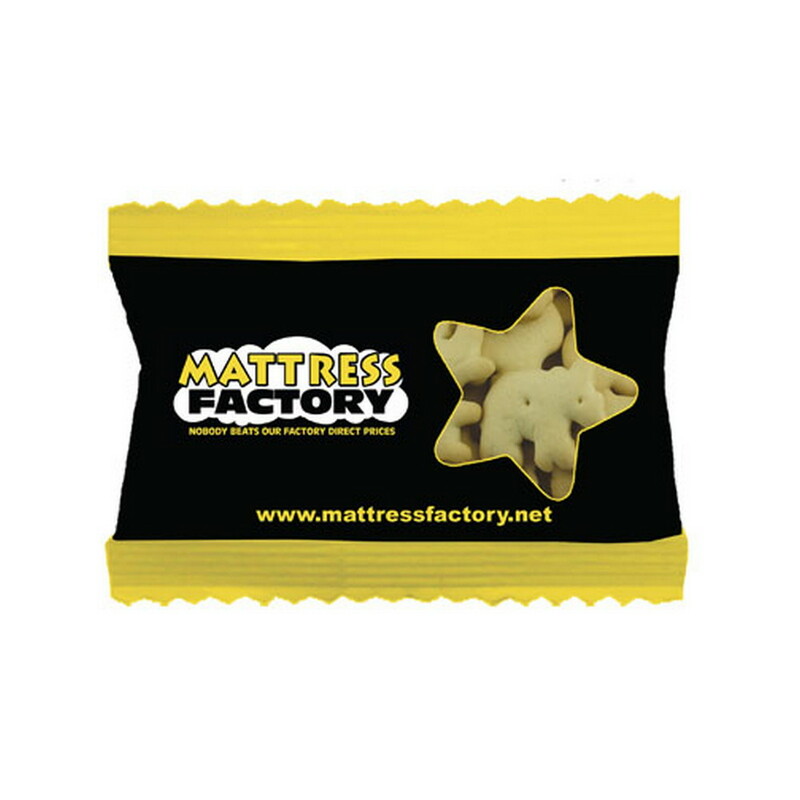 It features a 5" bag filled with your favorite animal crackers which ensures that your clients remember your brand as the best among the rest. Give away the snack pack at trade fairs, carnivals, sporting events, schools, colleges, offices, and community events to elevate your brand’s rate of success.